Warner Bros. are looking for volunteers to take part in a Home Remedy Study for people suffering from Diabetes / Pre-Diabetes ( Moderately high blood sugar levels ) for which you were not prescribed and are not taking any medication. 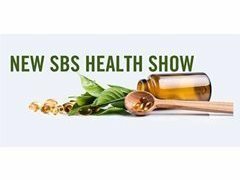 The study will appear in a new Health Show on SBS. In order to participate, you will need to complete a short survey before and after the study and be able to measure your blood sugar levels at the start and end of the study (one week duration). Participants will receive a $100 e-gift card upon completion of the study. You will also have the option to be filmed as part of the tv show where you will receive another $100 e-gift card. Complete instructions and guidelines will be provided upon your interest in taking part in this home remedy study,... but its got to be worth it if works right? The successful applicants chosen to participate in the study and share their story on camera will need to articulate information about the ailment including, but not limited to, how long they have been living with the ailment, any treatment/s sought, how it impacts on their lifestyle etc. and be available for the beginning and at the end of the Study period to demonstrate their initial response to the Home Remedy and the results. We require people with general tv experience and confidence to help us capture dynamic, engaging content. Depending on the number of responses we can’t guarantee everyone will make the final edit but we can guarantee the best, most compelling stories will. For further information, click Apply now.